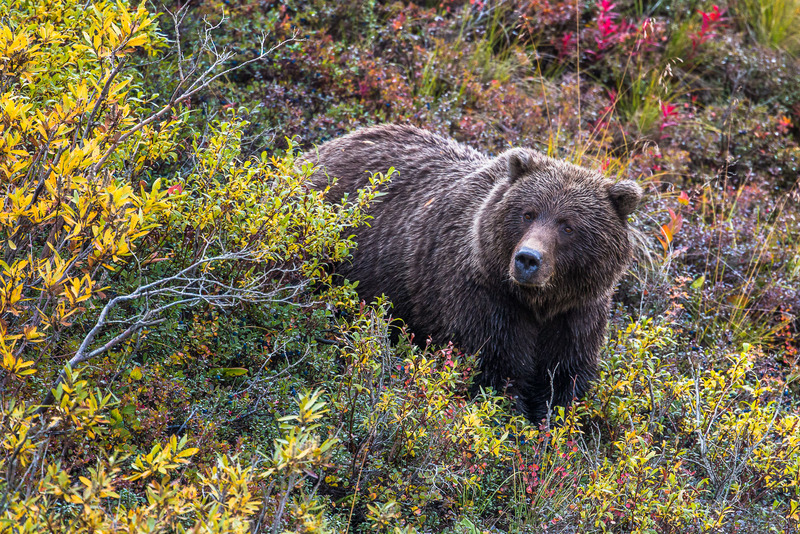 Grizzly feeding on blueberries in Denali National Park. The last few days of August already show autumns peak colors. Photo © copyright by Lance B. Carter.